The ultimate in privacy, prestige and freedom, large and unique parcels of land are a valuable commodity. Land is prime for realizing the owners vision and lifestyle, and ultra-high net worth individuals are always in search of these opportunities. Large parcels of land are sought by celebrities and captains of industry alike, from Harrison Ford’s purchase of 800 acres near Jackson Hole, Wyoming, effectively putting the town on the map, to Chinese billionaire Jack Ma’s purchase of 28,000+ acres in the Adirondacks. Undeveloped land is rife with possibilities to become a private compound, a new community, a farm, or pastures for horses to name a few. Below we explore several unique and expansive parcels of land for sale across the country. 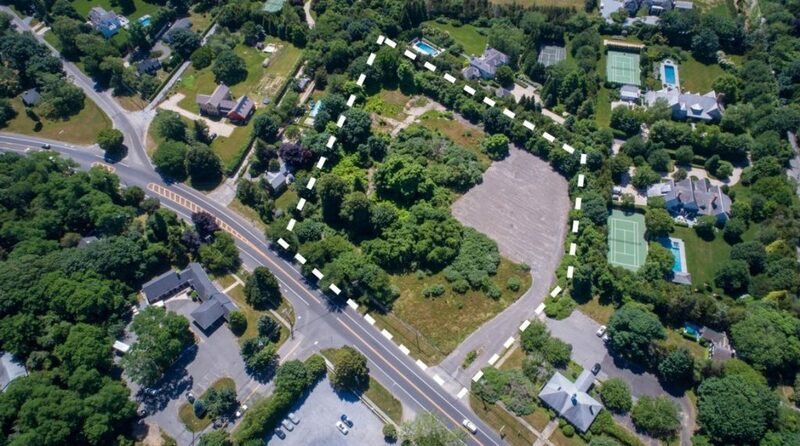 Located south of the highway in East Hampton is this 4-acre parcel with endless possibilities. 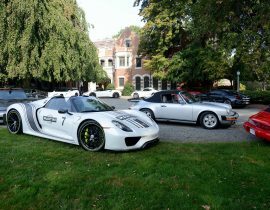 The vacant lot can accommodate a single residence up to approximately 18,000 square feet with a pool and tennis court. 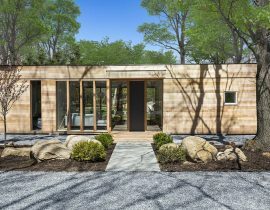 The lot can also be subdivided into four approximately 50,000-square-foot buildable lots, with a large house and pool on each. The subdivision can have its own common drive and new street name. There’s also a unique opportunity to build up to 60 affordable housing units. This is an exceptional opportunity own one of the last subdivided estate parcels within close proximity to the ocean, and to both Amagansett and East Hampton village. View more photos or to schedule a showing contact Justin Agnello, Benjamin Dixon or Matthew Mackay. 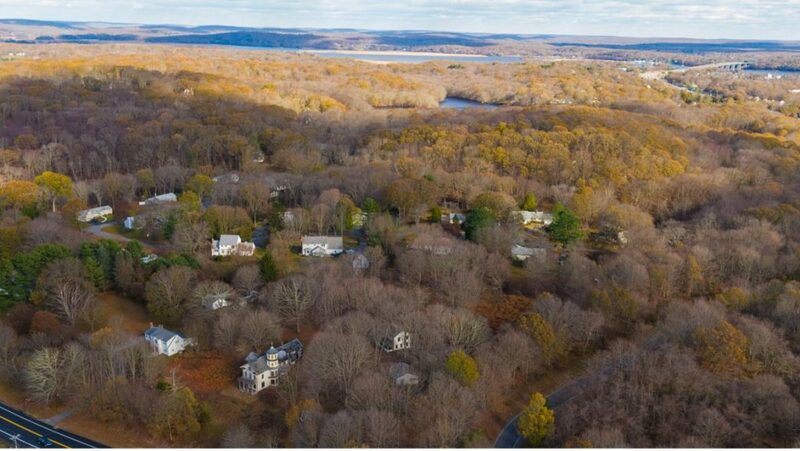 This scenic parcel with views of the Connecticut River and Long Island Sound offers a mix of residential and commercial properties that total more than 150 acres. One parcel includes a home built by sea captain Frank Urbansky in 1875 with original details and woodwork. 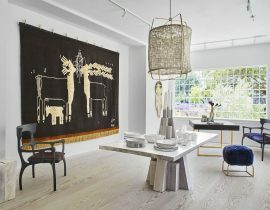 The current owners have their own storied history with the land. Their father and grandfather, Polish immigrant Ferdinand Piontkowski, a real estate investor, purchased this land and the home between 1920-1926. The property includes a 30-acre man-made reservoir which was used by the railroad to cool the steam engines and by the family for recreation. View more photos of 220 Middlesex Turnpike and 350-410 Middlesex Turnpike or to schedule a showing contact Mary Logan Binder. Within minutes of Carmel this parcel of 100+ acres offers two building sites with water. In addition, the property boasts amazing views of Carmel Valley all the way to the ocean. Build your dream home in the beautiful and gated Quintana Ranches. There’s plenty of room for a family compound, horses and expansive gardens, or whatever your heart desires. View more photos or to schedule a showing contact Christine Handel. Own a part of the pristine Santa Barbara coastline with a rich and storied heritage. 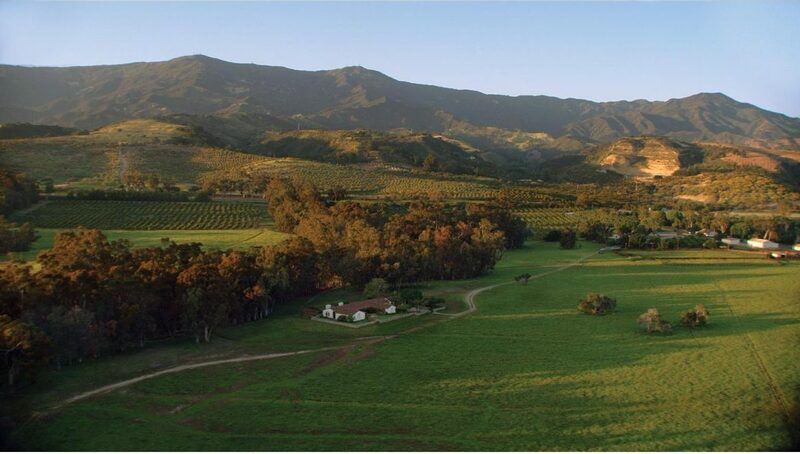 A legacy of oil magnate Edward Doheny, Las Varas Ranch is 1,800 acres of flat open pasture. 520 acres enjoy open access to the Pacific Ocean, and 10,000 feet of private access oceanfront with sandy beaches. 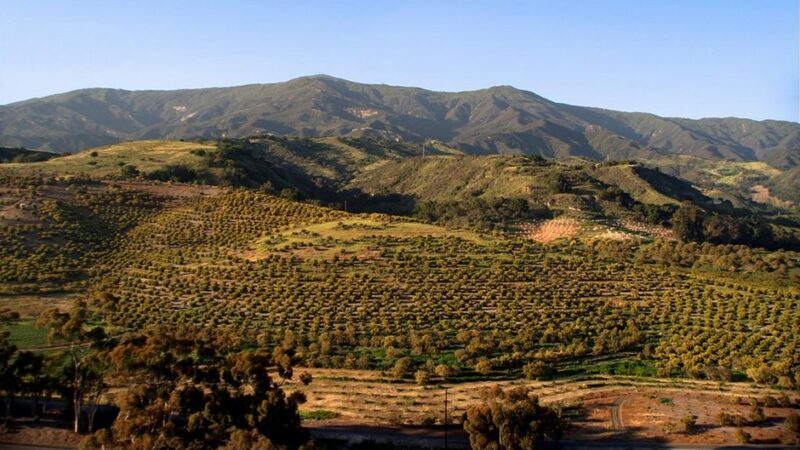 This sprawling property includes oak, eucalyptus and juniper forests, actively farmed avocado and lemon orchards. 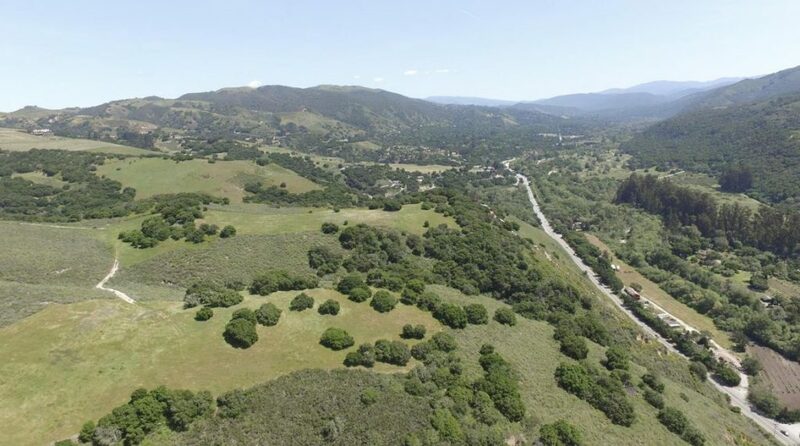 There’s also private canyon trails stretching towards the Santa Ynez Mountains, two fresh water creeks, and an 18-acre reservoir. Nine separate but contiguous APN parcels offer the potential to create an unparalleled private family compound. Present structures include the owner’s hacienda, a ranch manager’s cottage, a Victorian-era guesthouse, a horse barn corral, a mechanics cottages, and multiple outbuildings dating to the 1920s. View more photos or to schedule a showing contact Anthony Punnett. “The Mountain” is the ultimate in Aspen luxury and presents a once-in-a-lifetime opportunity to own and live on one of the most spectacular properties in the world. Nothing like this exists in the continental United States and for the first time since the Aspen Mountain Gondola opened in 1986, this sweeping mountain paradise could be yours for private ownership. This awe-inspiring landscape, easily accessible via the Aspen Mountain Gondola and Castle Creek Road, is on the southwest side of Aspen Mountain. 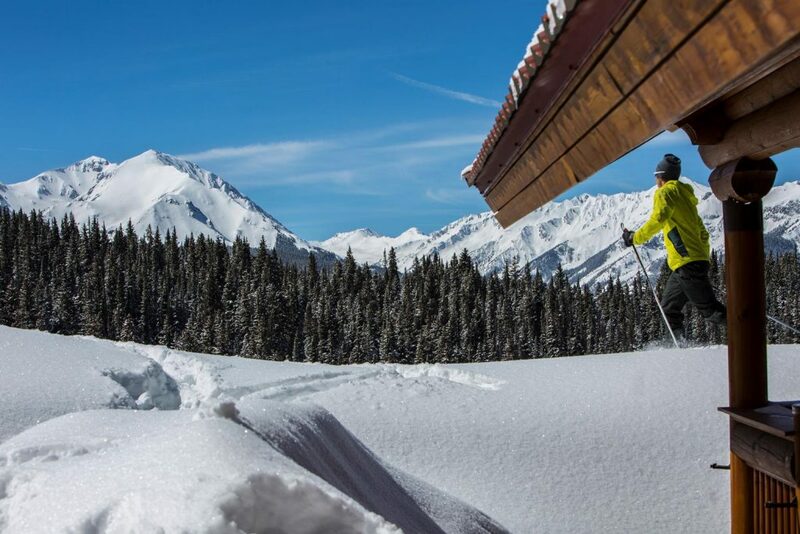 Brimming with potential, this breathtaking area boasts captivating views of the Rocky Mountains, multiple cabins, private ski runs and wildflower-covered alpine meadows. View more photos or to schedule a showing contact Joshua Saslove or Max Taam. 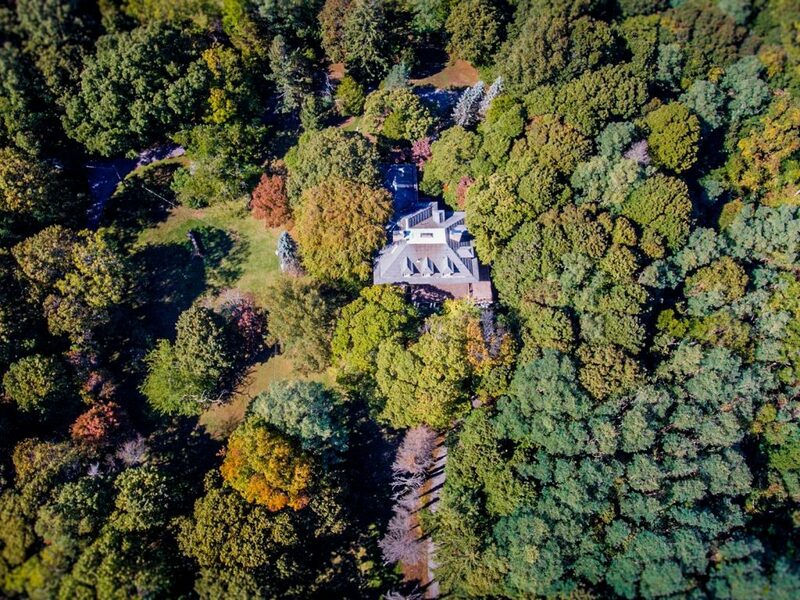 For sale for the first time in more than 60 years, Owl Hill is a private estate on 27.63 acres on Long Island’s North Shore. The parcel is the largest 1-acre of residential zoned land in Suffolk County—excluding the North Fork—and is the most expensive property in the hamlet of Fort Salonga. A historical 1903 home with original architecture and details sits on the property. At this serene oasis, nature meets the luxury of Old World grandeur, offering peace and tranquility only 50 miles from New York City. View more photos or to schedule a showing contact Kelley Taylor. Search more available land for sale to find your perfect parcel.